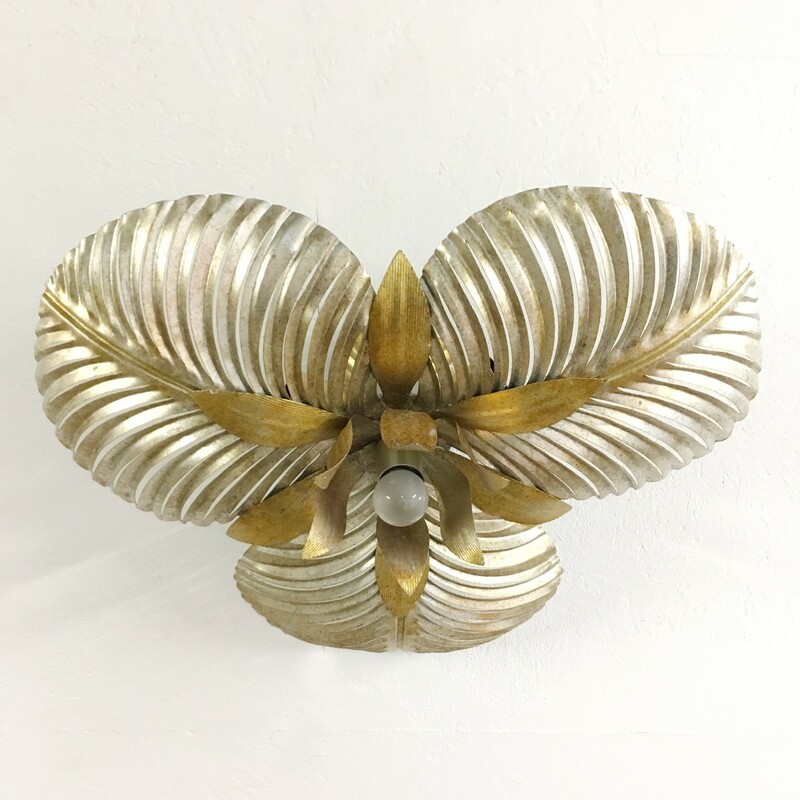 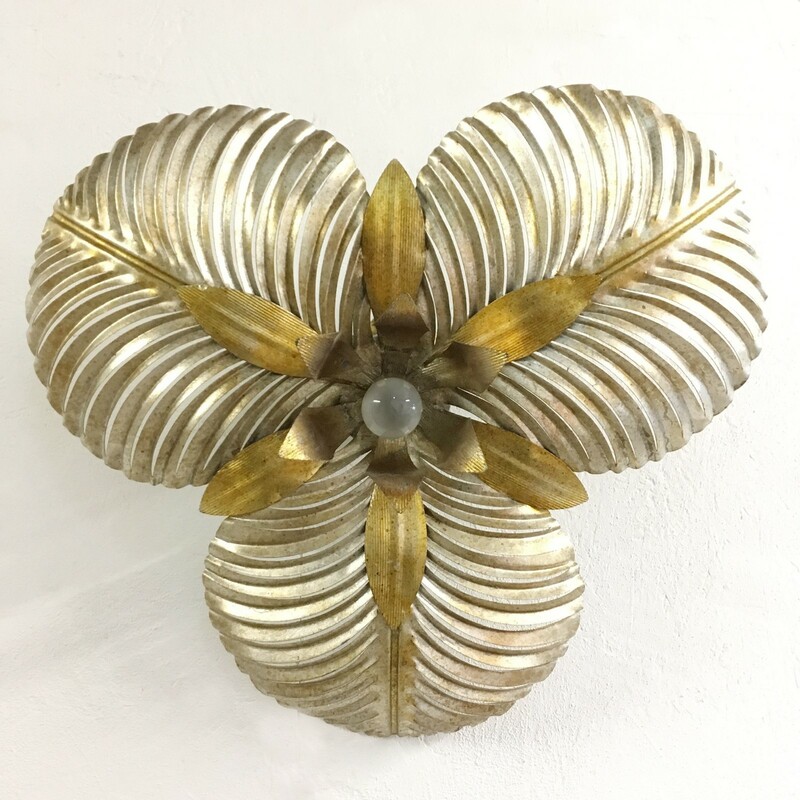 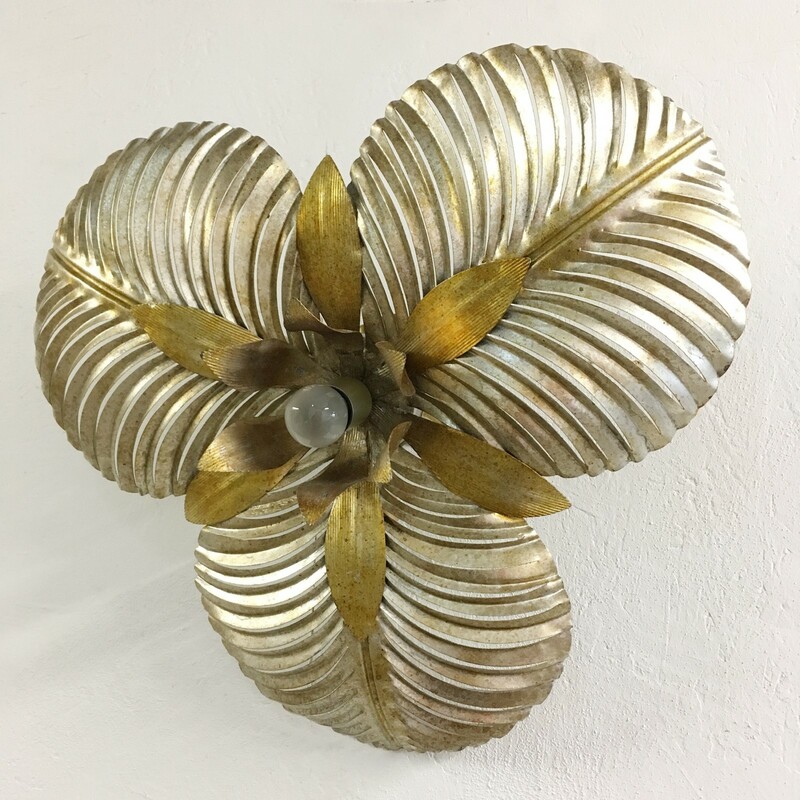 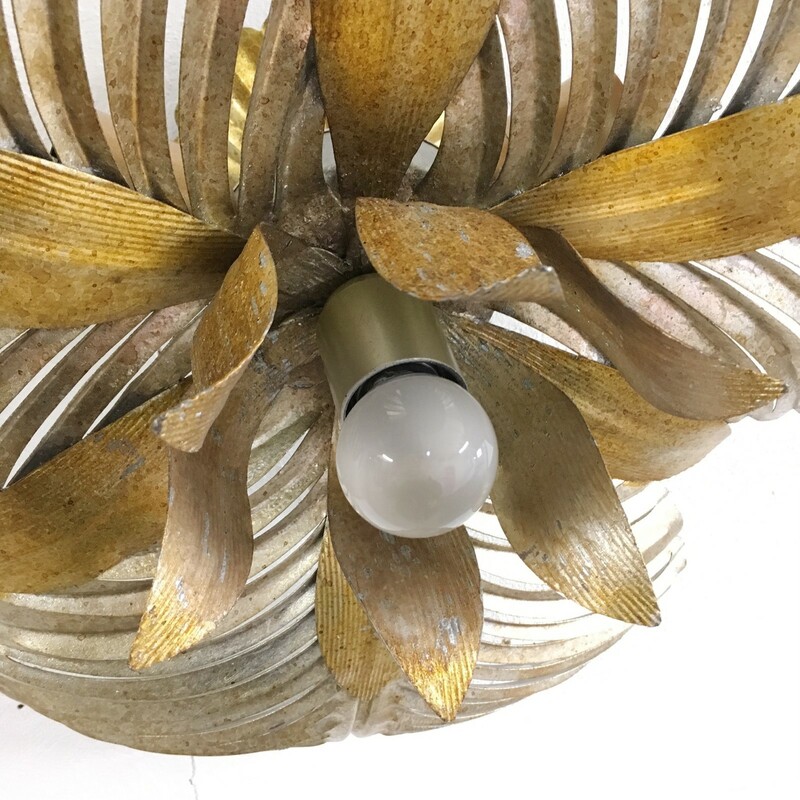 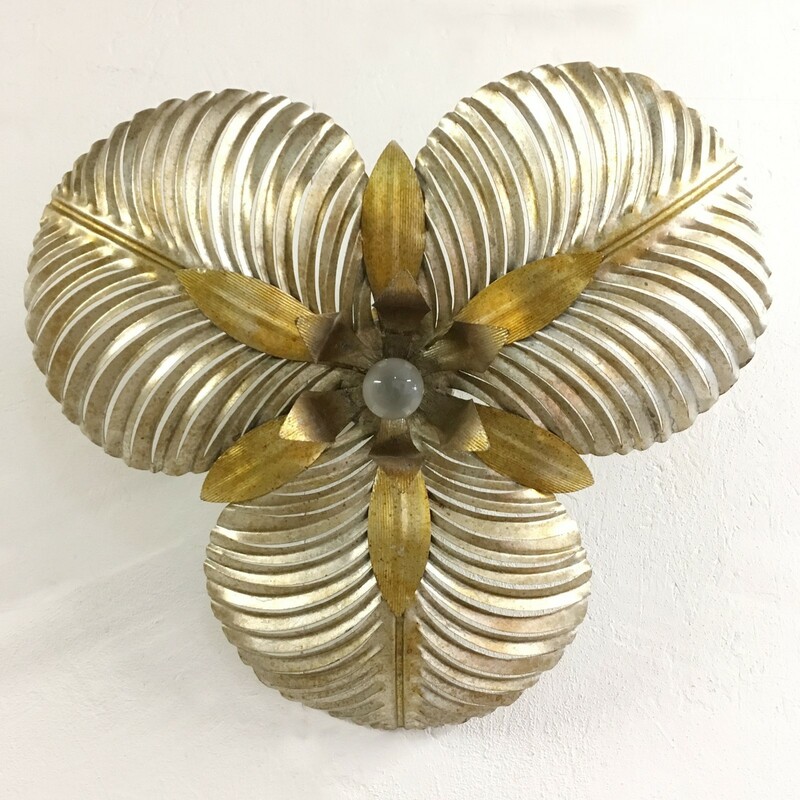 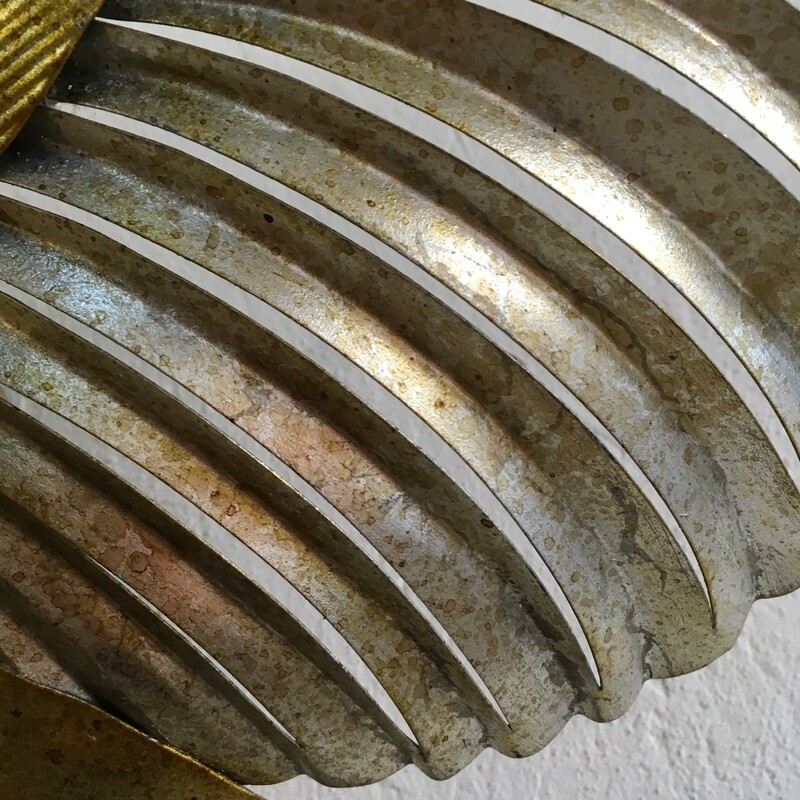 Tropical Gilt Palm Leaf Ceiling Light, Circa 1970’s, Italian. 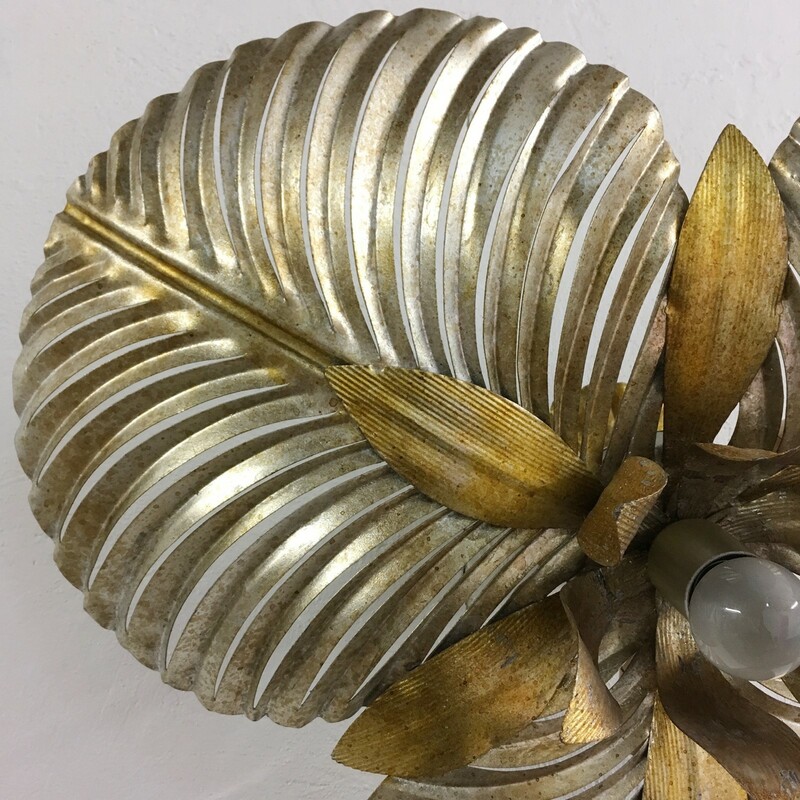 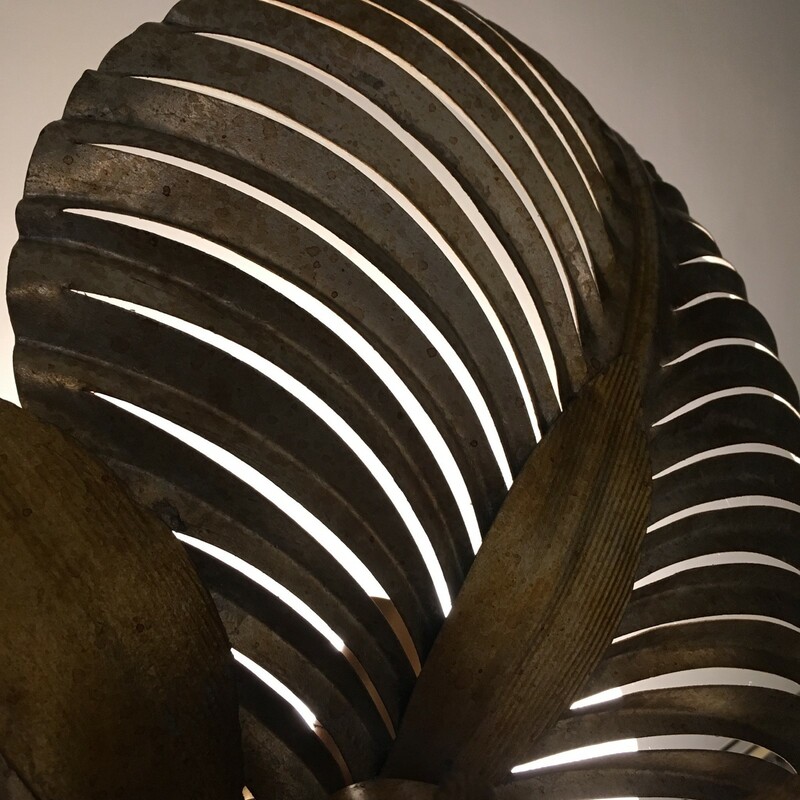 Stunning large palm shaped leaves with cut out detail for light to pour through. 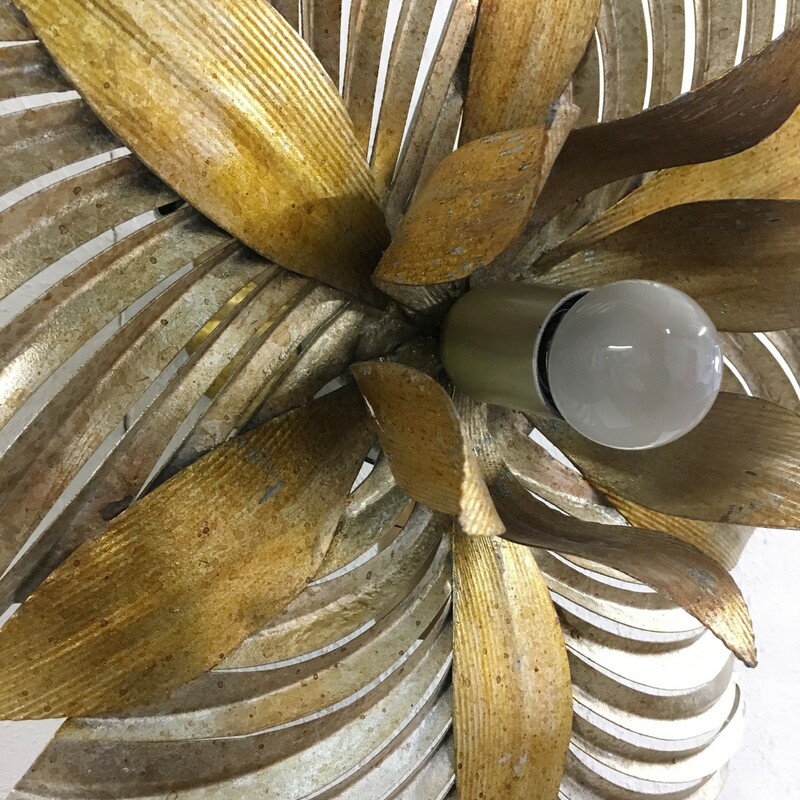 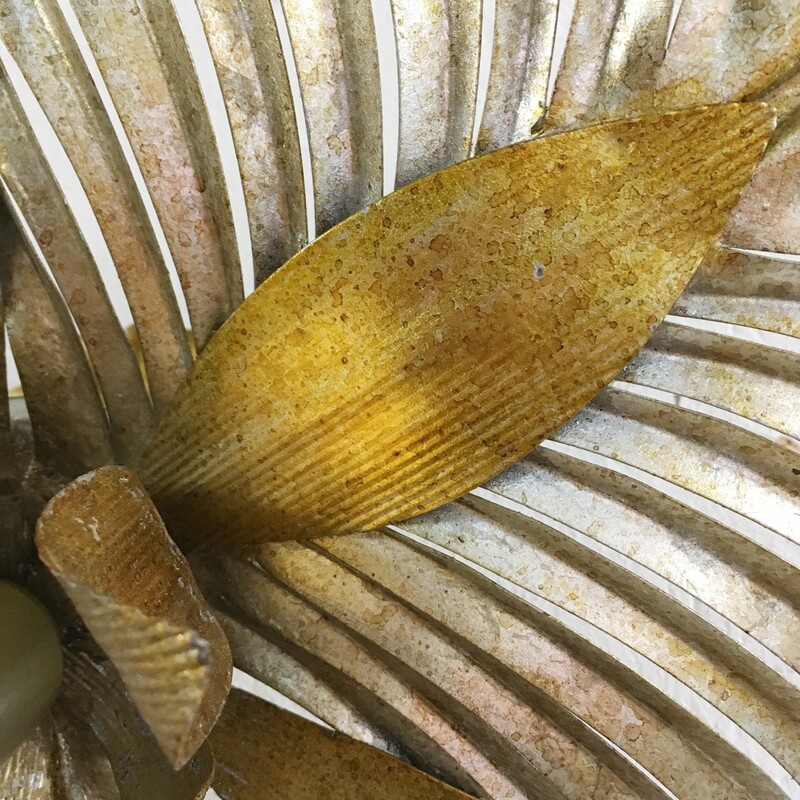 The palm leaves surround a bud of golden petals that carry a single bulb holder. 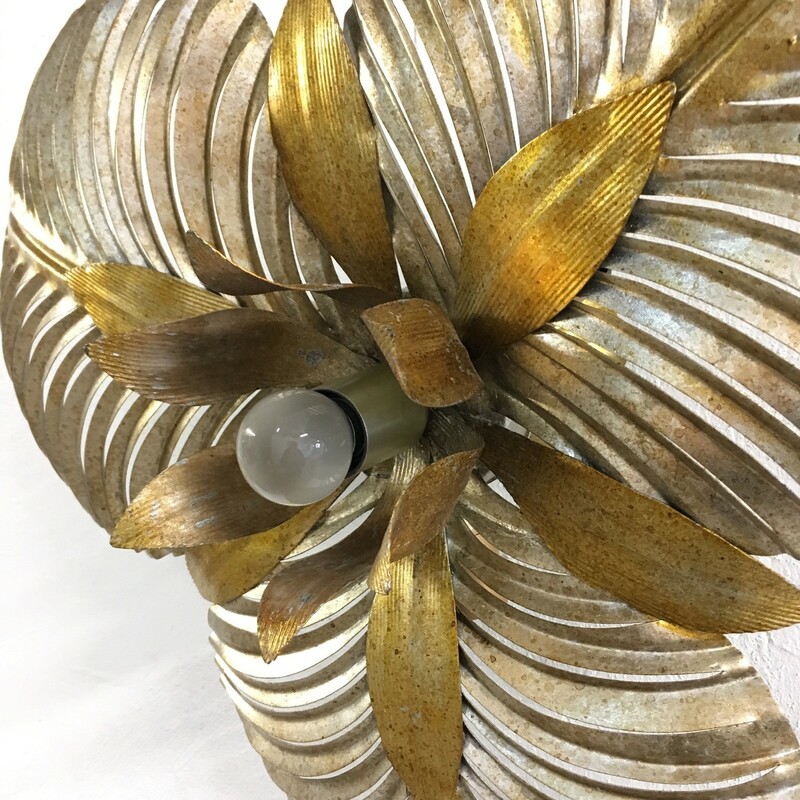 On the back of the light there are 3 further bulb holder to light it from behind. 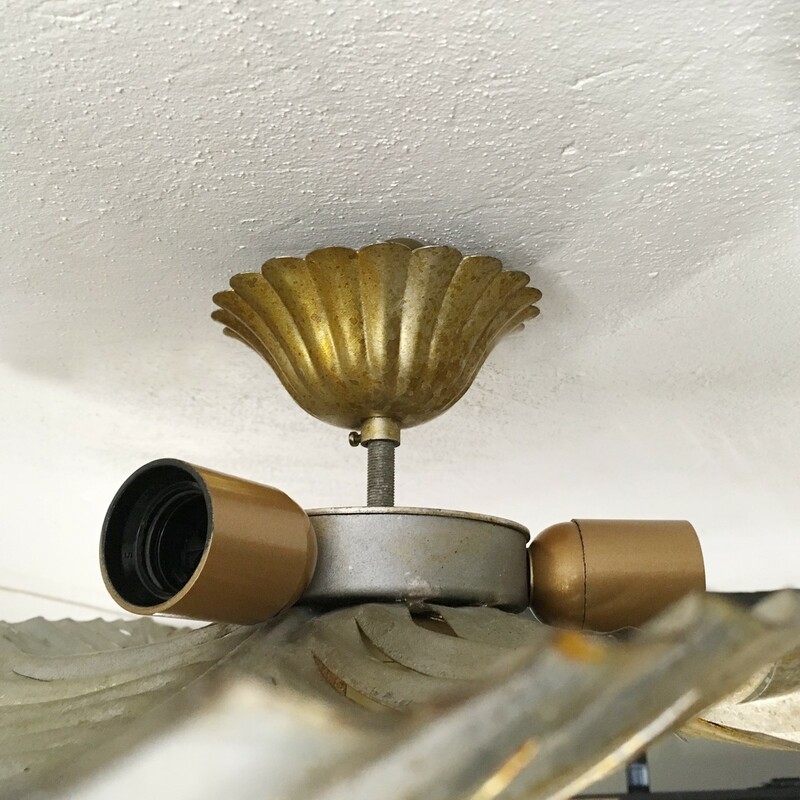 The light has a ceiling rose and adjustable rod. 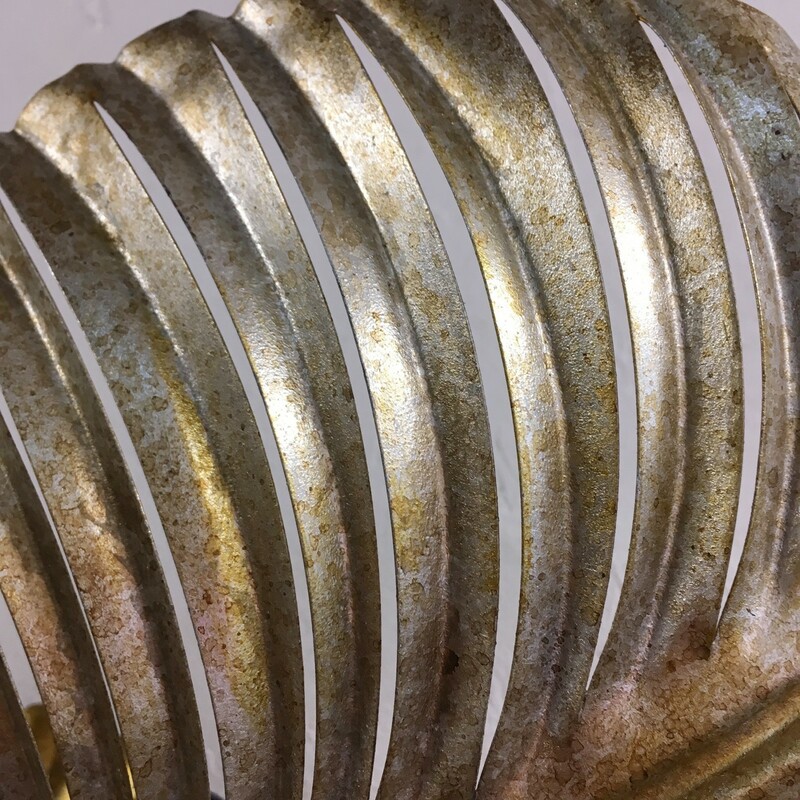 The light takes standard E27 screw in bulbs in all the fittings. 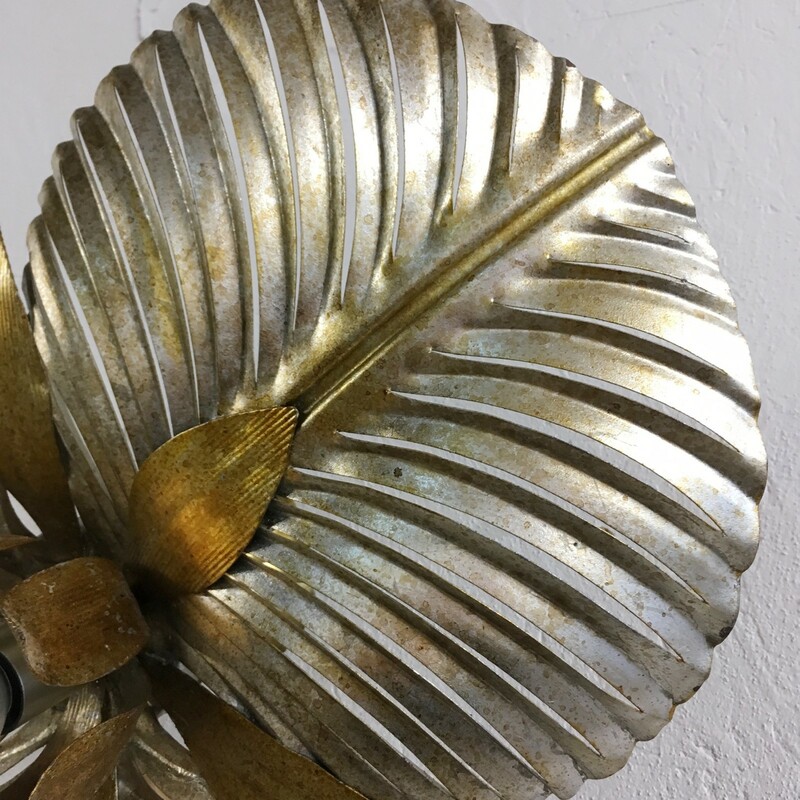 The metal finish is mixed tones of gold and silver in a stunning speckled finish, you can see this on the close up of the leaves.